When Toile is tired and wants to go to bed she lets me know. Firstly she gets a little bit irritable and then she sits on the stairs, half way up, occasionally meowing at me and if I don’t respond she will come back and casually bite the back of my hand, in a teeth hitting the skin kind of way, although there is sometimes just a tweak of a pinch, that is just a little bit on the dark side of friendship. 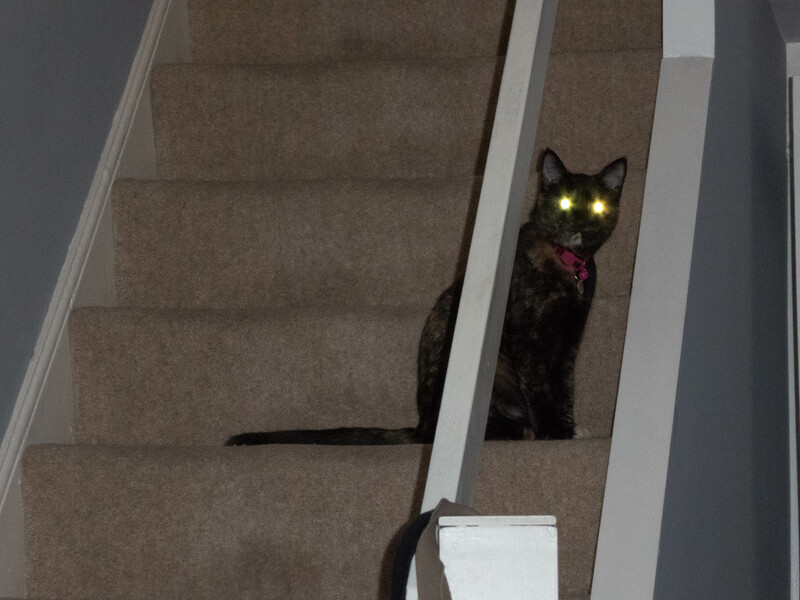 And then goes back up the stairs and meows at me again. Sometimes I hear a desperation in her voice that almost sounds like ‘are you thick, do you not understand what I am saying’. This evening she is desperate and has already been back three times, and she won’t go without me. I’m going to have to go, the cat wants to go to bed. I know the feeling! Our whole animal family know when it’s bedtime!